To be successful in modern hockey, it is essential to master the components of explosive skating. 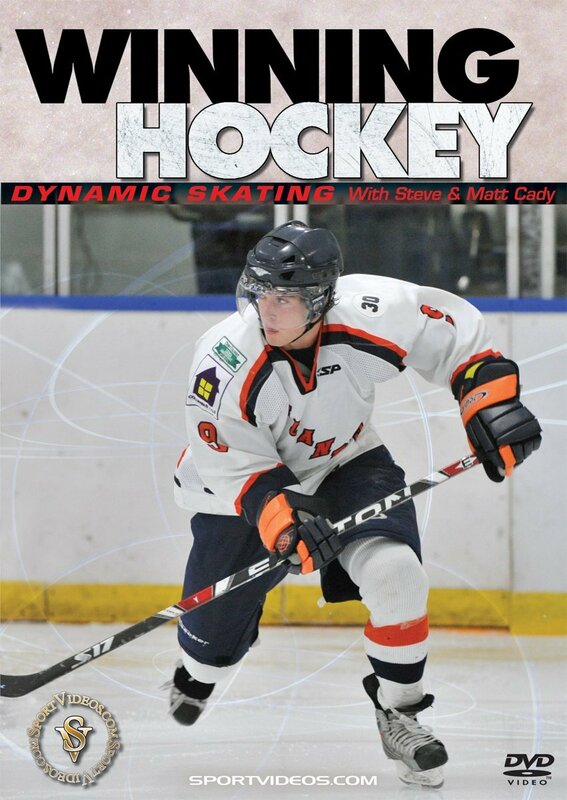 In this comprehensive DVD, coaches Steve Cady and Matt Cady present numerous skating skills and drills designed to help hockey players at all levels of the game to become great skaters. Among the topic covered are: drills that focus on balance and agility, forward and backward skating, starts, stops, turns, pivots and much more. This DVD is a great resource for coaches and players who want to dramatically improve their skating skills and gain a winning edge on the competition. About the Coach: Steve Cady has been an instructor at Huron Hockey for over 35 years, and serves as the Power Skating Instructor for the Pro Camp each summer. As his peers know, this coach teaches the essential component to hockey's most valuable skill like no other in the game today. Cady is always ready to share some of his extensive hockey knowledge with players, coaches and parents. Cady was the head hockey coach at Miami of Ohio during its first seven varsity seasons (1978-85) and currently serves as the Senior Associate Athletics Director. Matt Cady is a former defenseman for the Miami of Ohio Redhawks. He served as a Volunteer Assistant Hockey Coach at the University of Denver from 2004-2005. He presently serves as the Assistant Strength Coach at Miami of Ohio in Oxford, Ohio.